Flip a coin. 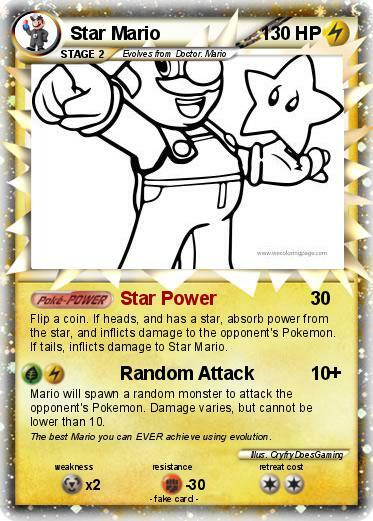 If heads, and has a star, absorb power from the star, and inflicts damage to the opponent's Pokemon. If tails, inflicts damage to Star Mario. Mario will spawn a random monster to attack the opponent's Pokemon. Damage varies, but cannot be lower than 10. Comments : The best Mario you can EVER achieve using evolution.